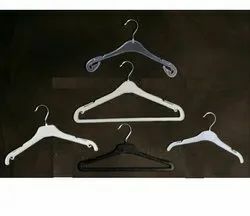 Leading Exporter of top hanger metal hook group, napkin hanger, clothing hangers and folding hanger from Tiruppur. 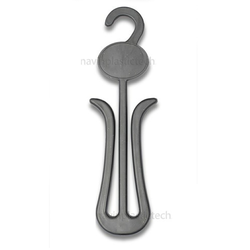 We offer Top Hangers Metal Hook. 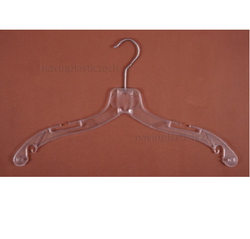 We bring the varied colors hangers that are very attractive and stylish. These hangers are very easy and light weight. The hangers fabricated by us are tested at each and every stage of developments. We ensure for the durability and finely finishing so that the clothes remain safe. These Napkin Hanger are available in plenty of Sizes, Colors and Attractive Designs, suiting individual requirements and usage. We offer Clothing Hangers. We bring the fluctuated hues hanger that are extremely alluring and jazzy. These hangers are simple and lightweight. The plastic hanger created by us are tried at every last phase of improvements. We guarantee for the toughness and finely completing so that the garments stay safe. 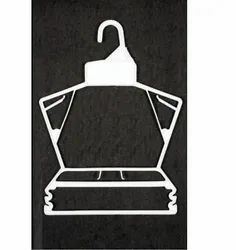 Looking for Cloth Hangers ?